Uses: General, Commitment, Revival Scripture:Galatians 5:1; Luke 14:33 Voiced for ease and arranged for success, this one rehearsal wonder is as beautiful as it is useful. Based on a beloved hymn of commitment, this gospel ballad is easily programmed into any service but is well suited for use following a message of challenge. 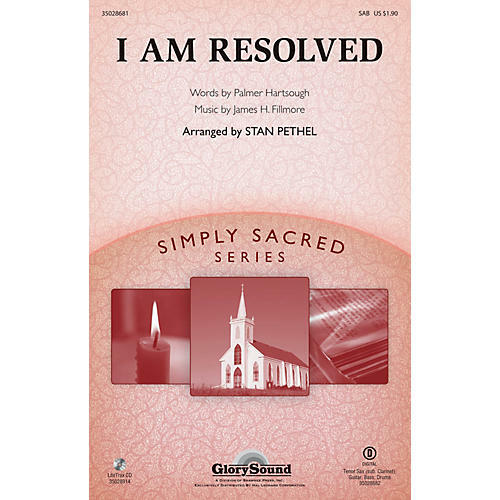 A great call to holiness, the pleasing tune and solid message is sure to be a favorite. Available separately: SAB, LiteTrax CD, Combo (digital parts for tenor sax [or clarinet], guitar, bass, drums). Duration: ca. 2:01.